Cornell clear liquid centrifugal pumps are found in many agricultural irrigation applications.These pumps are designed to deliver best-in-class efficiency. Depending on operating hours, fuel, and horsepower required, you can save thousands per year in energy costs. 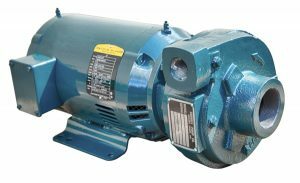 Cornell offers a large selection of clear liquids pumps that meet or exceed optimum efficiency standards for centrifugal pumps. 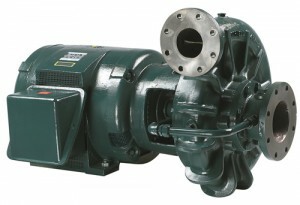 Medium duty centrifugal pumps, available in horizontal close coupled and vertical mounts. Engineered to handle general purpose applications, with cost-efficient construction. 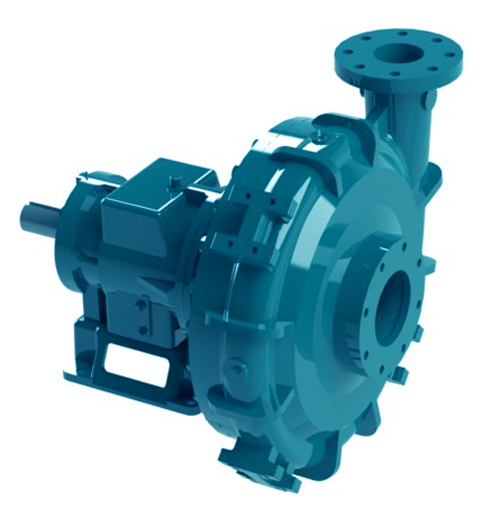 V-Series pumps are durable and available in wide flow and head capabilities. Cornell’s EDGE™ End Gun Booster pump for Center Irrigation Pivots are designed as a retrofit for pivot systems. 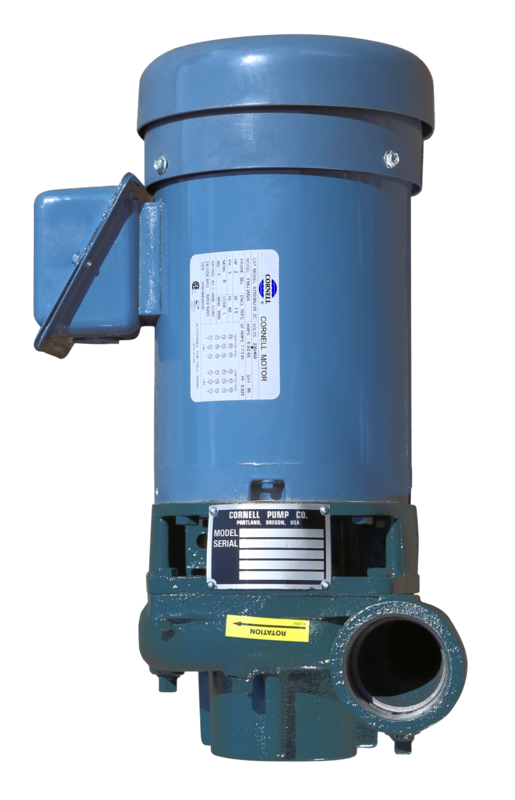 The competitively-priced 3HP and 5HP End Gun Booster pumps feature Cornell’s legendary design and reliability and are typically available to ship immediately. Cornell Pump’s VT pump series (Cyclone) relies on our demonstrated superior hydraulics, in a submerged design. The proven quality of Cornell RB series is recast into a short set vertical turbine pump. Boasting energy efficiencies up to 89%, with no priming required, the Cyclone is the vertical turbine you’d expect from the industry leader in centrifugal pumps. Designed for ponds, rivers, canals, sumps, and dewatering applications, the VT series fills a niche where end users need robust design, quality build, proven hydraulics, and Cornell’s renowned two-year warranty for peace of mind. The Cyclone VT series uses industry standard column, shaft, and line shaft couplers, to make field installation and interchangeability easy. Our bearings, impellers, suction strainers, wear rings, and bowls are robust designs, exceeding competitors’ usual offerings—allowing the Cyclone to carry on the RB pumps proud tradition of reliability and efficiency. 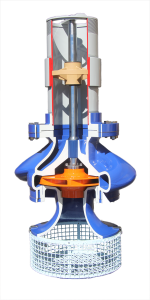 Spiral bowl construction: Improves flow path and pump efficiency. Fewer stages to replace and maintain: improved uptime and reduced costs. VFD Operable: useable at various speeds for maximum energy savings. Keyed and bolted impeller for positive drive. Industry standard discharge head configuration for VHS motors. Wide flow range per model. Large diameter shafts for minimal deflection, less wear. Industry-standard column, shaft & lineshaft bearing construction.